Traditionally sourced from barns in the Berkshire region, this antique softwood barn board is a unique paneling option. 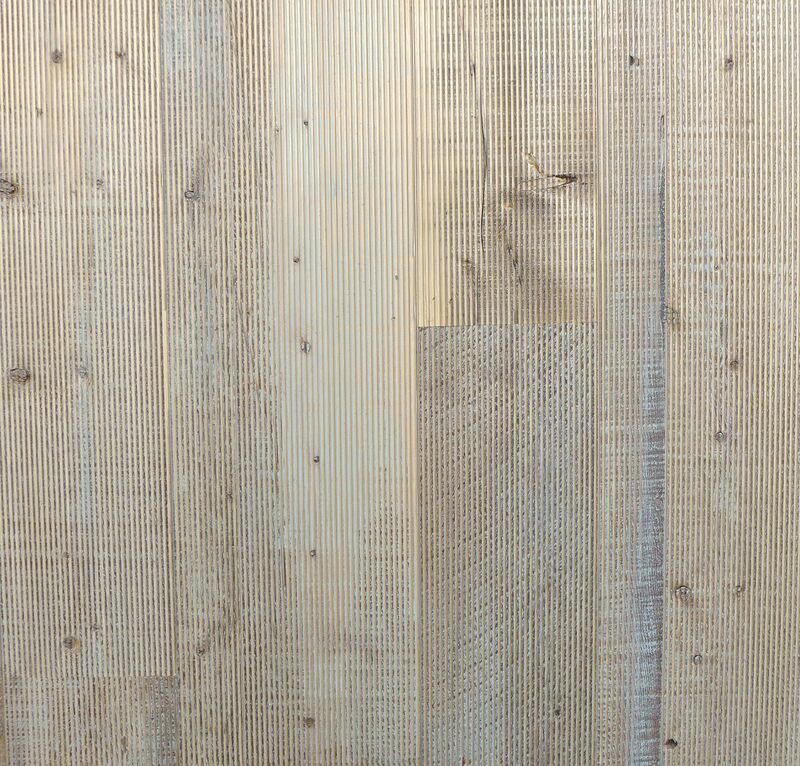 The natural face of the board is a rough, circle-sawn texture. We then custom texture it to add more character and depth. Doing this creates a contrast between the natural face of the board and the light tones within. Often, we apply a clear coat protestant or add a stain and dry-brush finish to add another textured layering effect. This product has been used in many commercial applications all over the Unites States because is gives an uncommon look and feel with its application. Taken from antique softwood barn siding, roof boards and paneling, the extra weathering of this product gives it a unique texture. Antique natural face softwood is found in almost every antique structure that we reclaimed. Each piece can yield a different color and texture and is one of our most sought after options in flooring. * Please note, due to the reclamation process and the natural differences in reclaimed wood, our displays and samples are close representations of a finished product. Every product is unique and may contain more or less characteristics than represented. Wood is a natural product and because of this, we recommend ordering samples of our products before making your paneling choice. We will send multiple pieces of each product to give a full representation of the grade and specie. Together, these pieces represent the grade, specie or product specified. Please do not reference an individual sample, piece of the sample or image as an accurate representation of the entire grade, specie or product. Please consult your sales representative with any questions or to request more samples.